Cool Menthol e-liquid by Webster’s One Pound Wonder delivers a cool, crisp menthol vape direct to your e-cigarette. 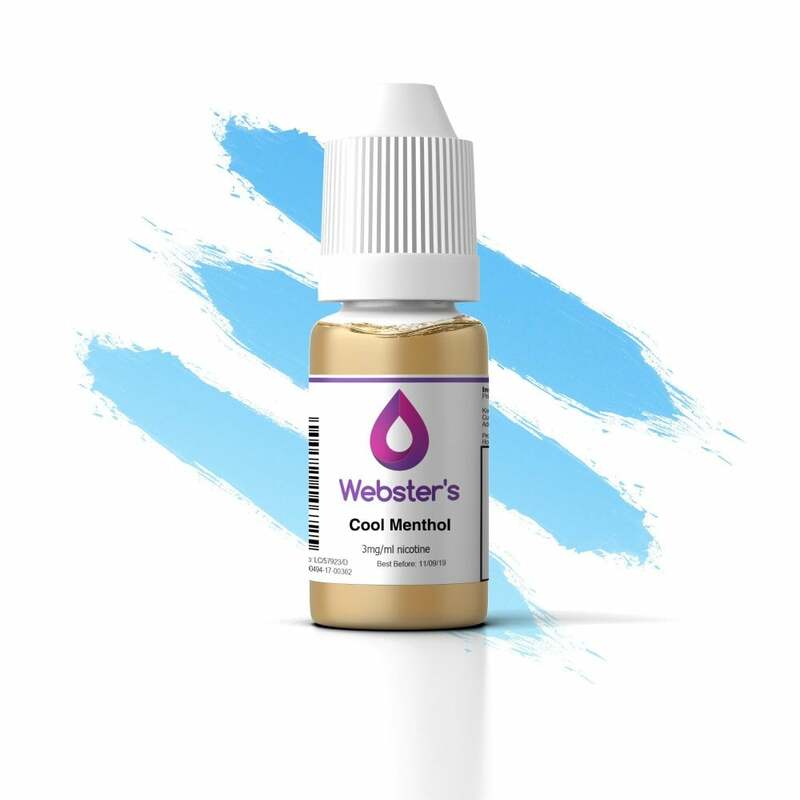 Perfect as a refreshing all-day vape or as a break from your usual flavour, Webster’s Cool Menthol serves up a classic menthol vape that mint fanatics will love. I love the cool taste of this £1 liquid. Amazing value and the minty taste is really good. Produces a good amount of vapour. It’s difficult finding eliquid for my wife that she finds acceptable. I didn’t hold out much hope for a £1 wonder, but she loves it. Therefore I love it. She gets a good vape, lots of flavour and saves £18 a month over the old supplier. Thank you guys. Nice menthol, complements a low wattage high ohm cool vape. Excellent quality, great flavour, bargain price!